See all of the invoices on your system that need your attention, and historic data. 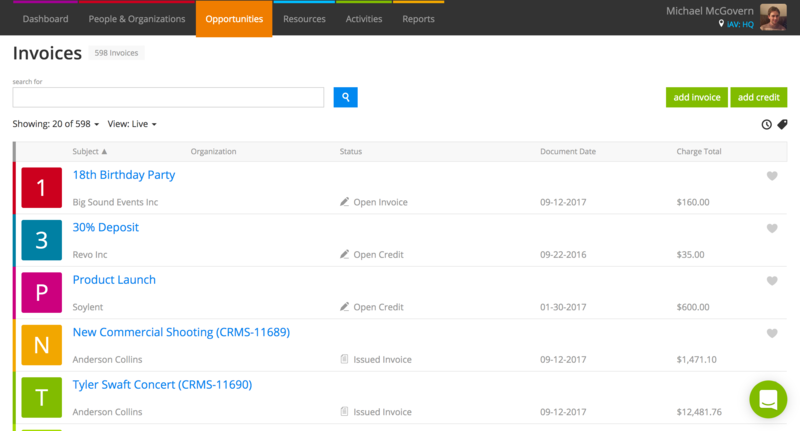 Invoices & Credits is a central location for all invoices and credits created on your system. Use this screen to see a list of all of the invoices and credits created over the lifetime of your Current RMS system. Create manual invoices & credits here too. 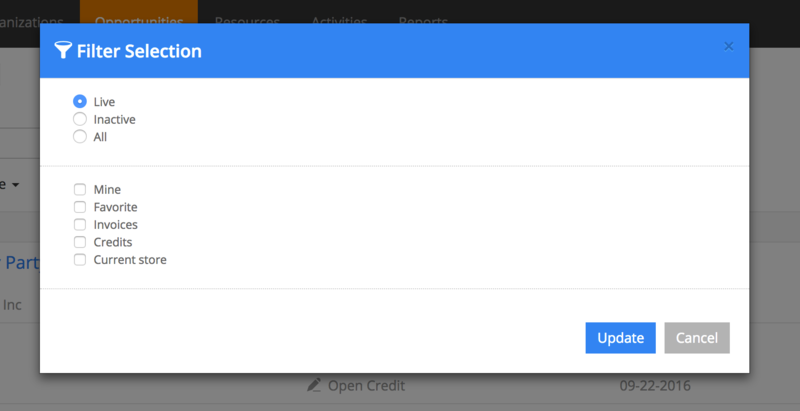 To access your Invoices & Credits, head to Opportunities > Invoices & Credits from the menu bar. You’ll see a list of all live invoices & credits. Live invoices and credits have the status open or issued. Inactive invoices are those that are paid, posted, or voided. The default view hides these to allow you to focus on the ones that need your attention. An open invoice or credit is a draft. It doesn’t have a number and isn’t final so you have the option to delete it if you wish. An issued invoice or credit has a number and is deemed final. You can’t delete an invoice or credit at this point, but you can edit, void, or credit it. If your Current RMS system isn’t linked to an accounts solution, clicking “Mark as paid” from the invoice or credit page will mark it as paid. If you’re integrated with Xero or QuickBooks Online, an invoice or credit will be marked as posted once you’ve posted it across to your cloud-based accounts solution. An issued or posted invoice can be voided meaning that it’s no longer valid. Your reporting figures will be adjusted accordingly. To see inactive invoice & credits and access other filtering options, click View: Live to bring up the view menu. Choose Filter selection to bring up common filtering options and hit Update to apply these to the default view.